The Husbands are back at it for a fourth season! Comic genius Kevin Hart and other celebrities play a comic fictionalised version of themselves in this comedic parody series.This season, Kevin continues his vain attempts to gain even more celebrity cache, chalking up new rivalries and laugh-out-loud cliffhangers. 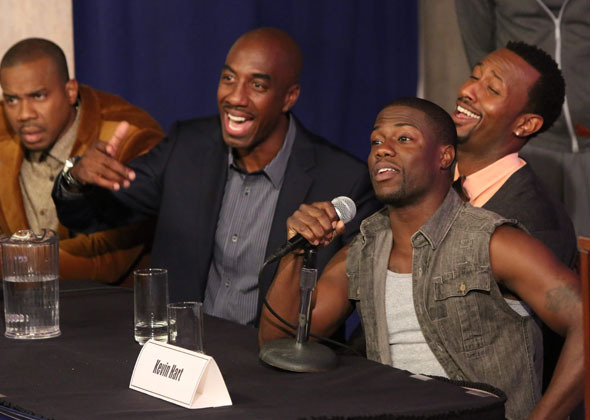 Featuring stars like Nelly, Nick Cannon and Duane Martin, season four also welcomes more hilarious cameos from the likes of Arsenio Hall, Paula Abdul, Terry Crews and mogul Russell Simmons.